Last week, the first week of Summer for most of Scotland, was a Glasgow/Edinburgh/Glasgow trip for me. I’d forgotten how when its warm, the West Coast gets properly hot, and Glasgow can bake. Thirty years back in the Inner Moray Firth has made hot sunny weather and sea breezes synonymous for me, so the 25C heat of a proper “taaps aff” day in Central Glasgow came as a wee surprise (and took me back to hot June evenings in the late 70’s climbing up Art School roofs to both feel the breeze, and look North to Highlands just beyond Loch Lomond). Of course I was stuck in airless meeting rooms most of the time, but skipped lunch one day to scamper down to the Science Centre and Pacific Quay to grab some photos. 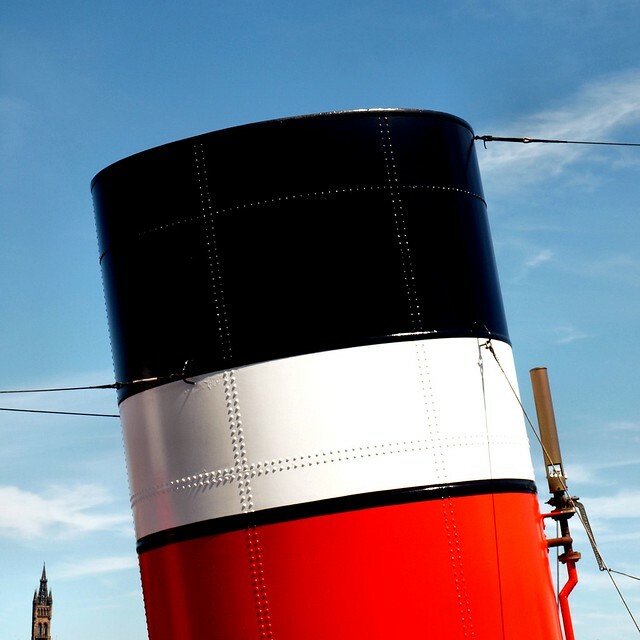 The funnels of the Waverly have always attracted me by their simple lines and bold colours, and by luck a low tide and blue sky allowed me this simple shot of two iconic Glasgow images. The Waverly and Glasgow University. Winter brings challenges, mainly due to the weather, although for the photographer, the absence of light due to power cuts can be a bonus. 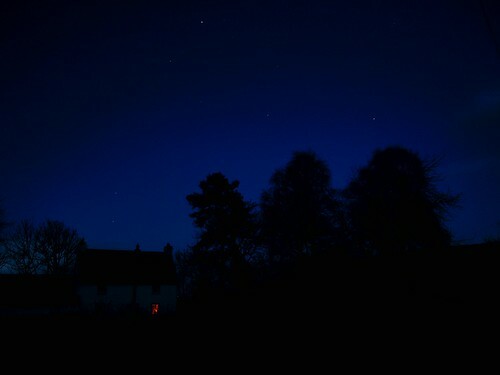 42 hours without electricity last weekend did allow me to go out as dusk fell on the Saturday, knowing that our end of Cromarty was as dark as it could be in the absence of street lights. Candles and oil lamps made a much more dramatic impact on the a long exposure shot of trees and houses than one would expect.